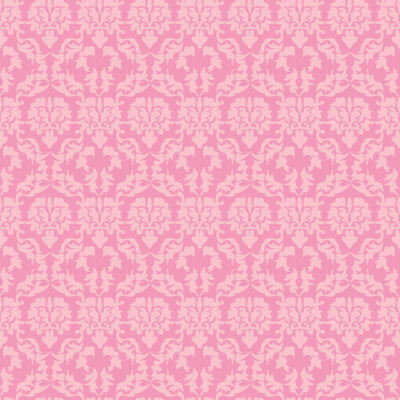 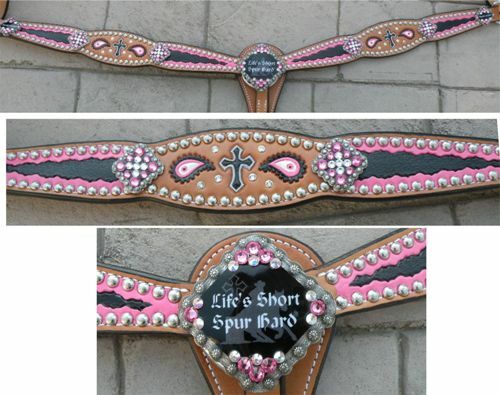 Hand painted with fun, funky "Wicked" stamped edges. 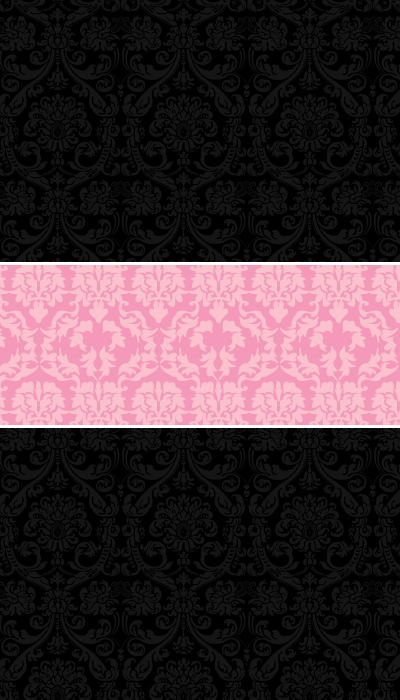 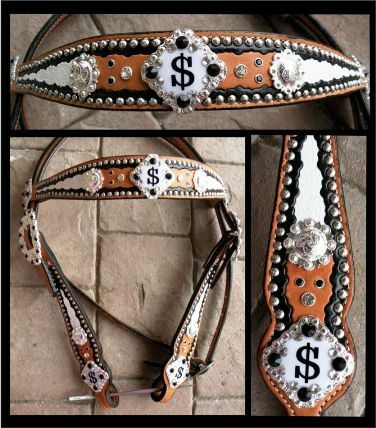 I can decorate these with your brands, initials, simple images, custom conchos, just about anything! 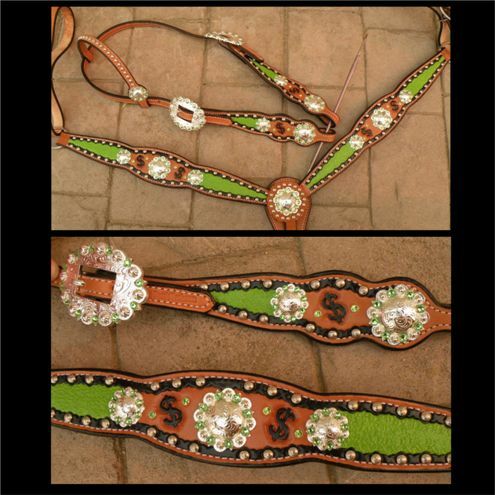 Crystal rivets are $1.00 each for lg, 60 cents for small, but I can do qty discounts if you get all the bells and whistles. 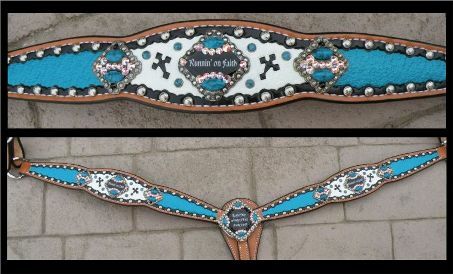 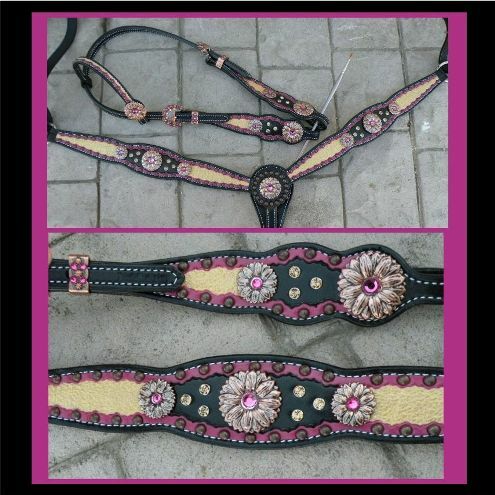 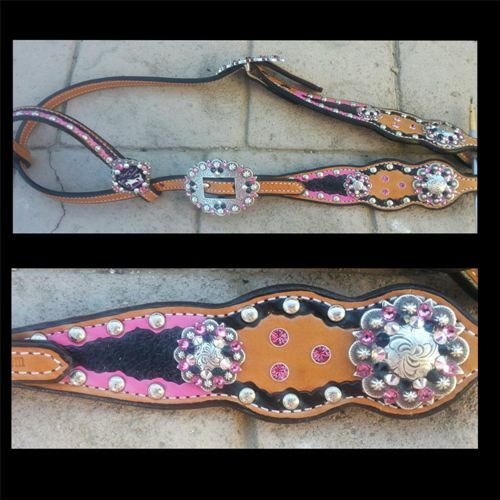 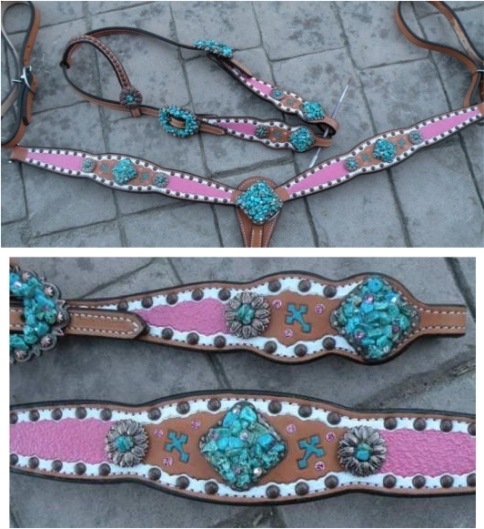 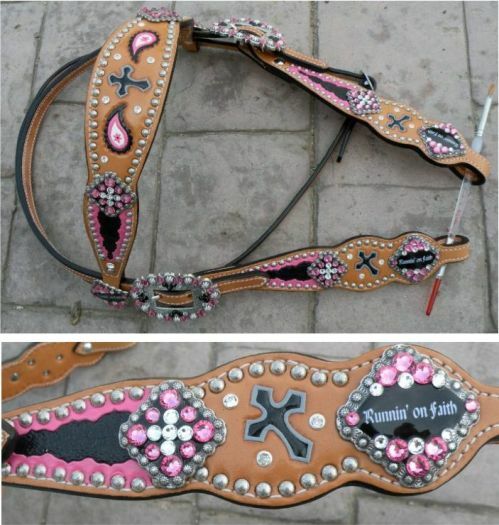 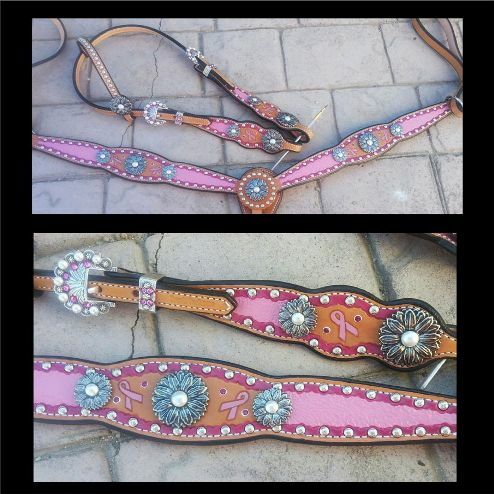 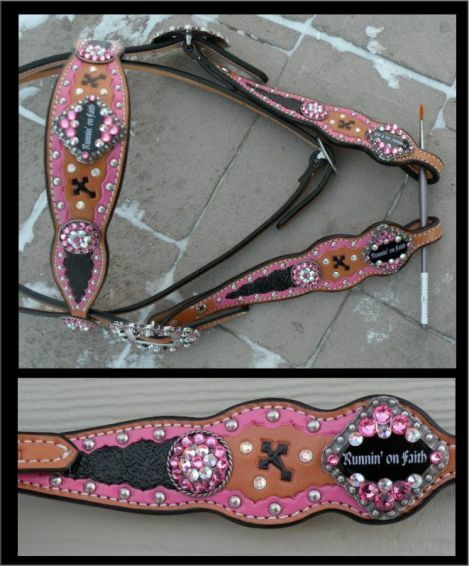 $170 pink and black peace ear headstall wicked edge. 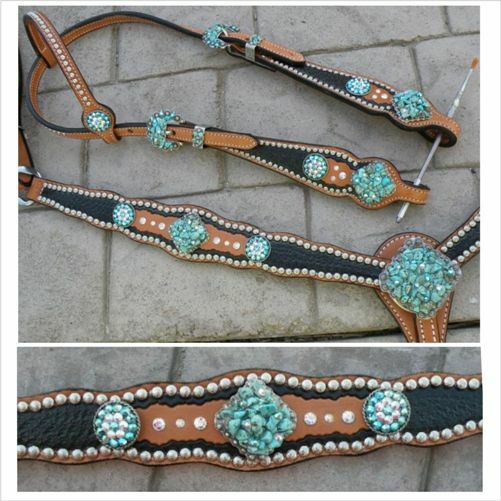 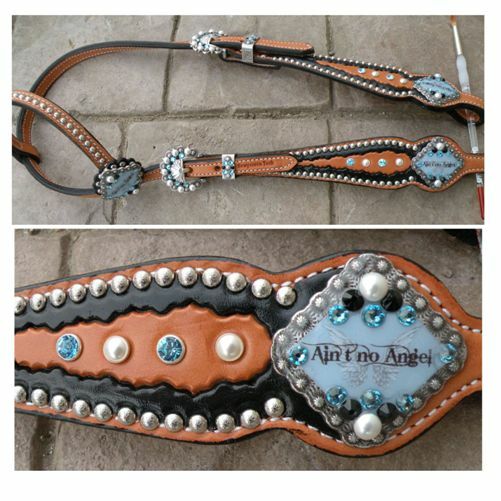 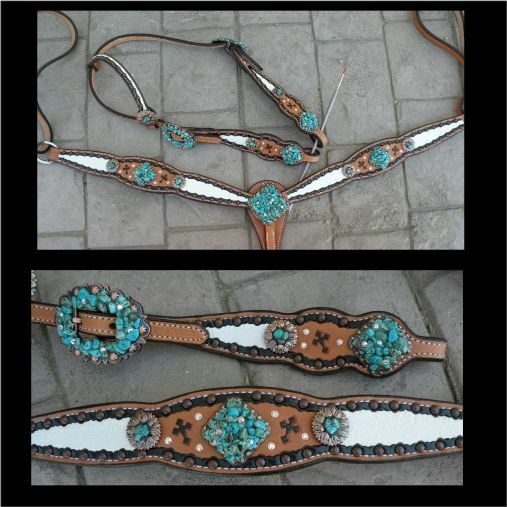 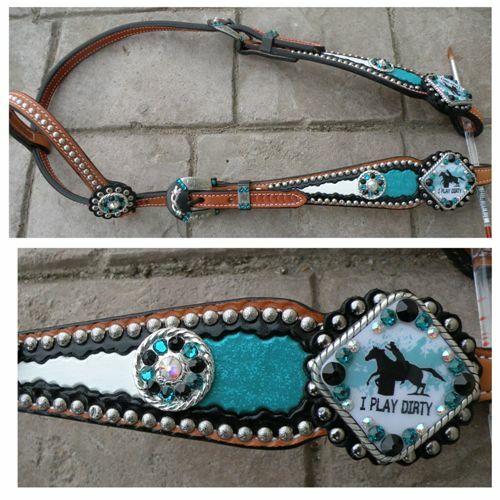 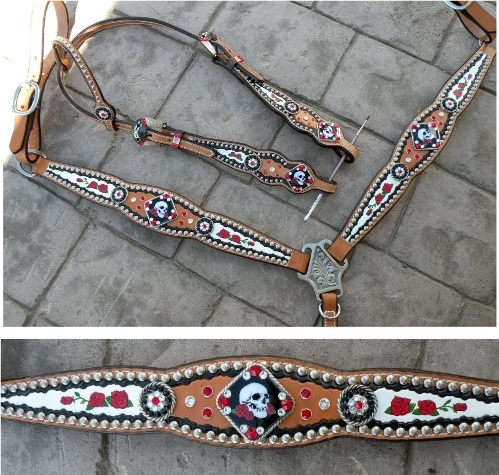 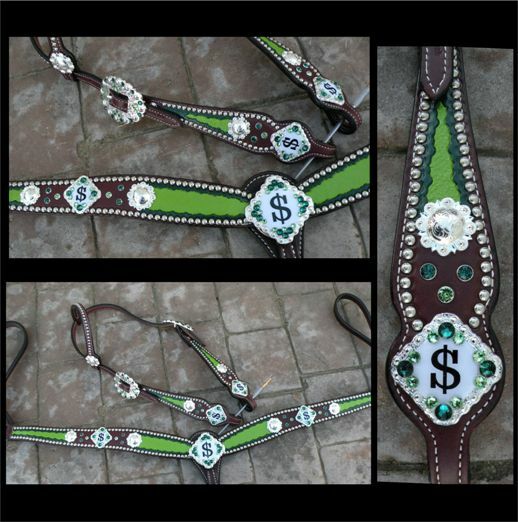 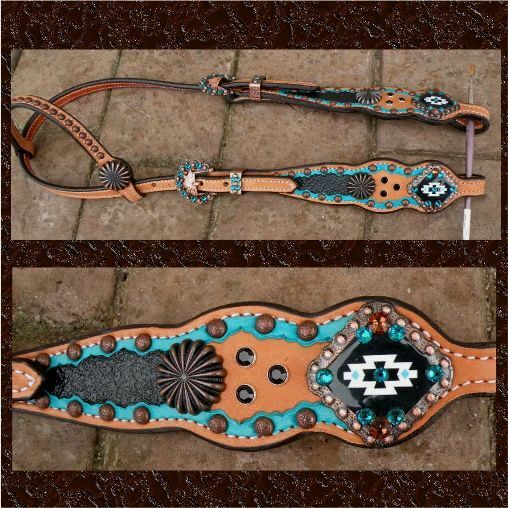 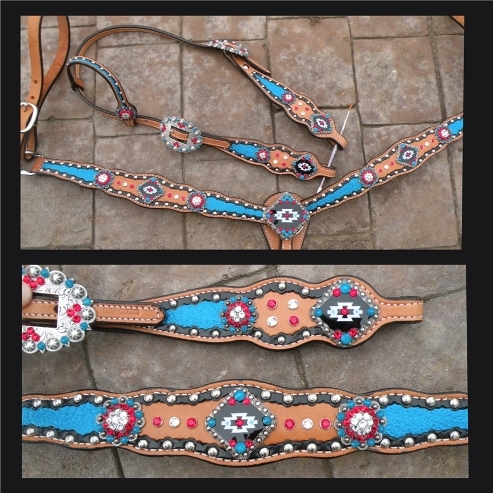 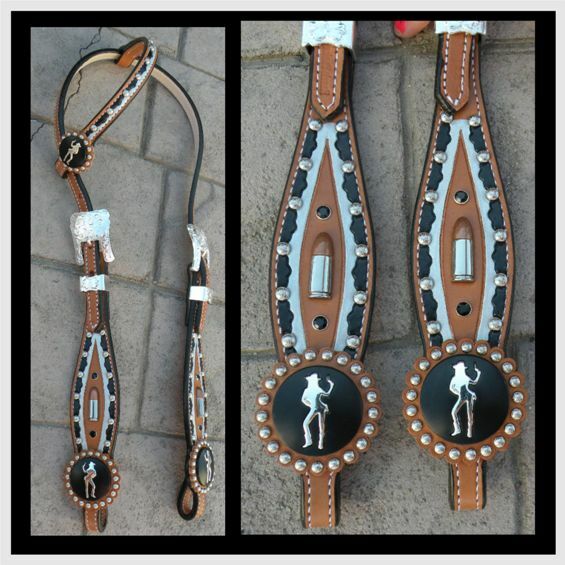 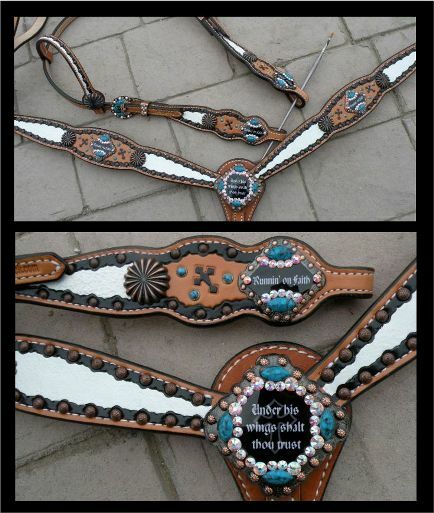 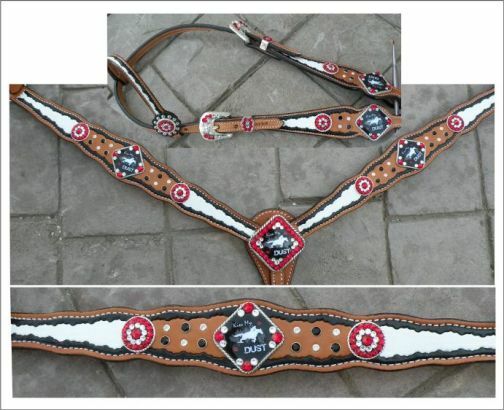 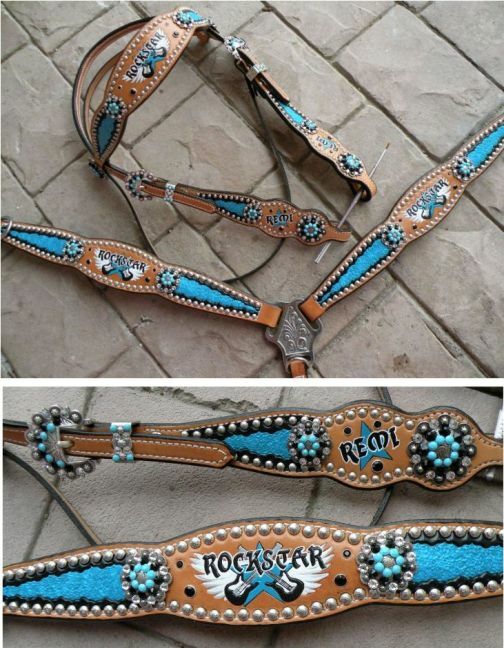 $245 with these image/razzletack conchos or $210 with stock bling conchos. 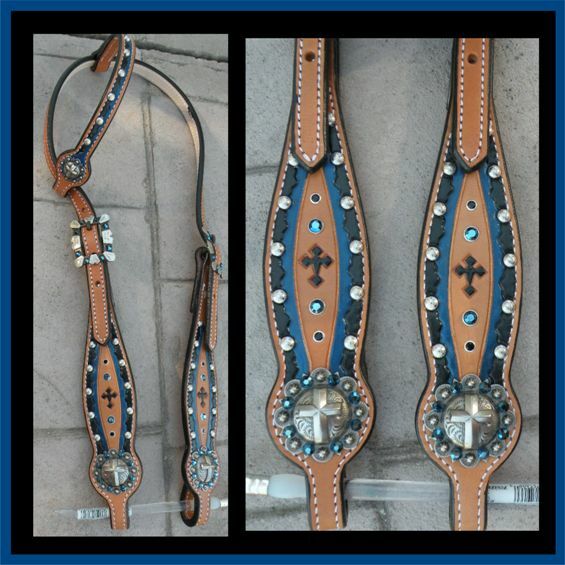 Can do in light or dark oil, any paint colors.